This is a most interesting work, a short but quite attractive piece reconstructed by musicologist Wilfried Fischer. 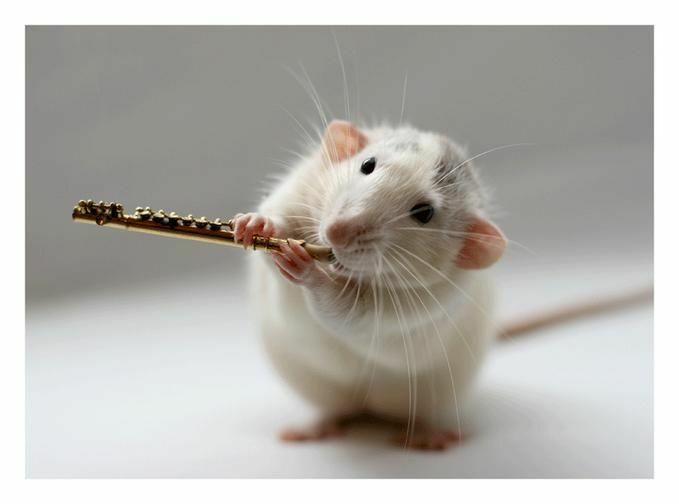 While it can be described as a concerto movement, it is also called a sinfonia in certain performances and on recordings. It is a fragmentary work, originally intended to serve as an introductory piece to a cantata, the title of which is not known and which may never have been realized. In any event, the work, almost certainly dating to the composer's last years, has garnered some attention since the late twentieth century. It opens in a lively, festive mood and generally maintains that celebratory air throughout. Musicologists have surmised that the cantata it was intended to introduce must also have been of a festive nature. 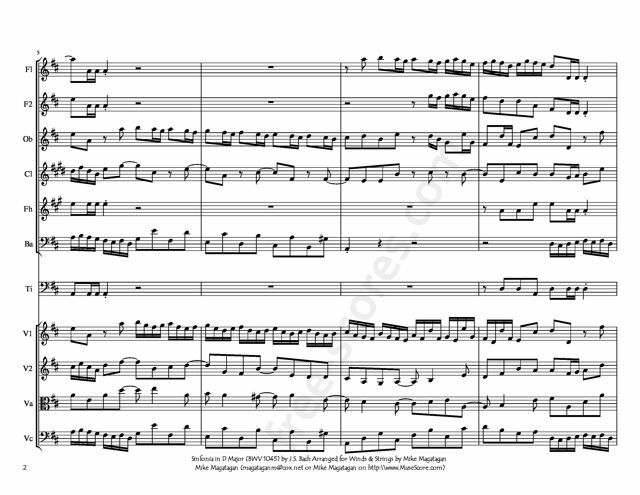 The main theme is rhythmic and playful and Bach's instrumentation is colorful, even though the ensemble is made up of only a handful of instruments, including trumpet, harpsichord, and oboe. The music is bouncy, often graceful and elegant, making no pretenses toward profundity. This concerto movement must be assessed as a quite delightful work that will provide much delight to the listener. Typically, it has a duration of five or six minutes. 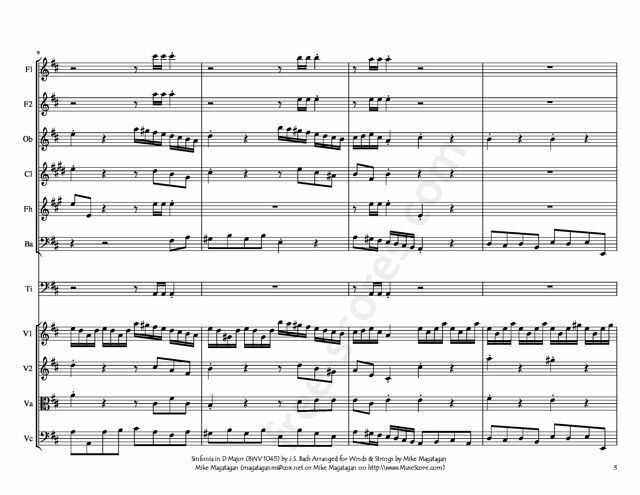 Source: AllMusic (http://www.allmusic.com/composition/sinfonia-for-violi n-3-trumpets-timpani-2-oboes-strings-continuo-in-d-majo r-bwv-1045-bc-a193-mc0002390094). 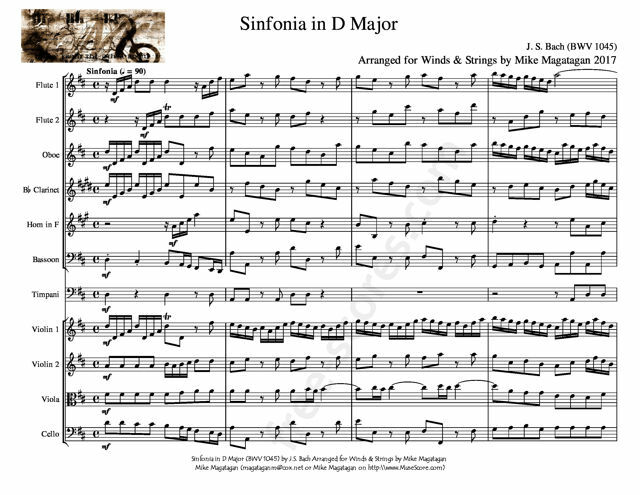 Although originally written for Baroque orchestra (Violin, 3 Trumpets, Timpani, 2 Oboes, Strings & Continuo), I created this Arrangement of the Sinfonia in D Major (BWV 1045) for Winds (2 flutes, Oboe, Bb Clarinet, French Horn & Bassoon) & Strings (2 Violins, Viola & Cello).